In a trip no further than Monterey is some really pleasant car camping adjacent to some wonderous hikes at Pinnacles National Park. About an hour into your journey, why not get out and stretch your legs in San Juan Bautista? It's a quaint little town to stop for lunch in, do a little antique shopping, and visit a bit of California's history with the Mission and various historic buildings. The Pinnacles campground is a privately run campground just outside of the east side of the park with sites for RV's, trailers, tents, and large groups. Their facilities include a small store (that also sells cold beer) and Ranger outpost, a pool (on the smaller side, but on a hot summer day its wonderful) with adjacent (paid) showers, bathrooms with flush toilets, and easy direct access to the park. The one aspect you will truly love about camping here is there are no raccoons or bears, although there is the occasional ferrel pig. Campsites have fire rings and bear boxes for your food, along with a centralized water spigot not too far from your site. 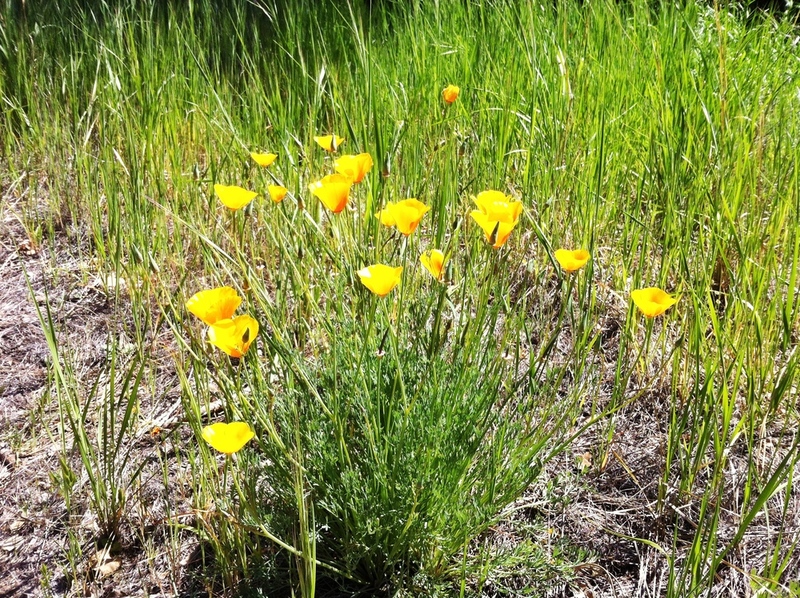 The main feature of the park is the 2 networks of caves you can visit, the caves and reservoir at Bear Gulch and the Balconies caves. 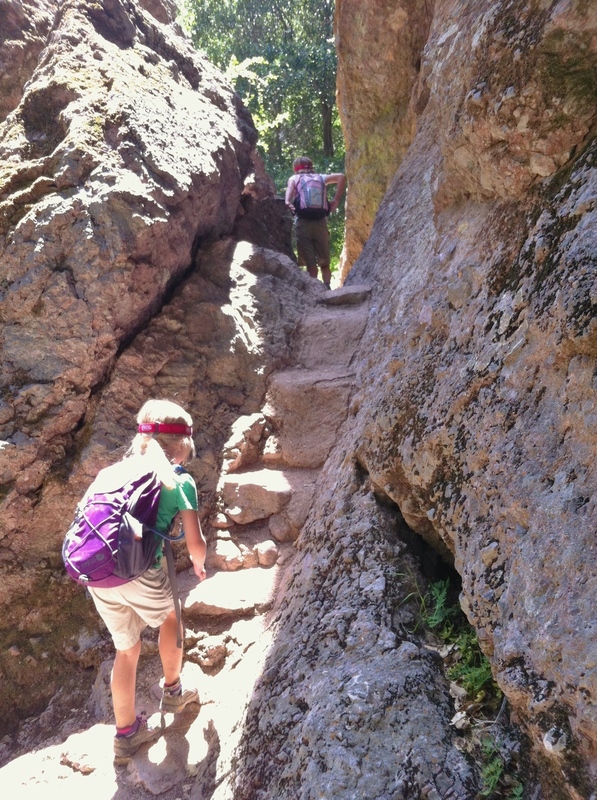 We've done the Bear Gulch hike a couple of times now as a family, my youngest daughter was 3 the first time we went. There are a few spots that are a bit dangerous, and we did a lot of hand holding but still such a great experience. It's about a 4 mile hike with a 50 floor elevation gain (according to my fitbit). The caves are at the high point right below the reservoir and are closed off during the late Spring and Summer for bat populations to nest (check the park website before booking http://www.nps.gov/pinn/planyourvisit/cavestatus.htm). This is a more adventurous set of caves. Getting there from the east side of the park (the campground side) is actually a bit more of a hike (around 7 miles round trip). If you happen to visit from the west side of the park, its only a mile or two - however driving around to the other side of the park is roughly an hour and a half drive. 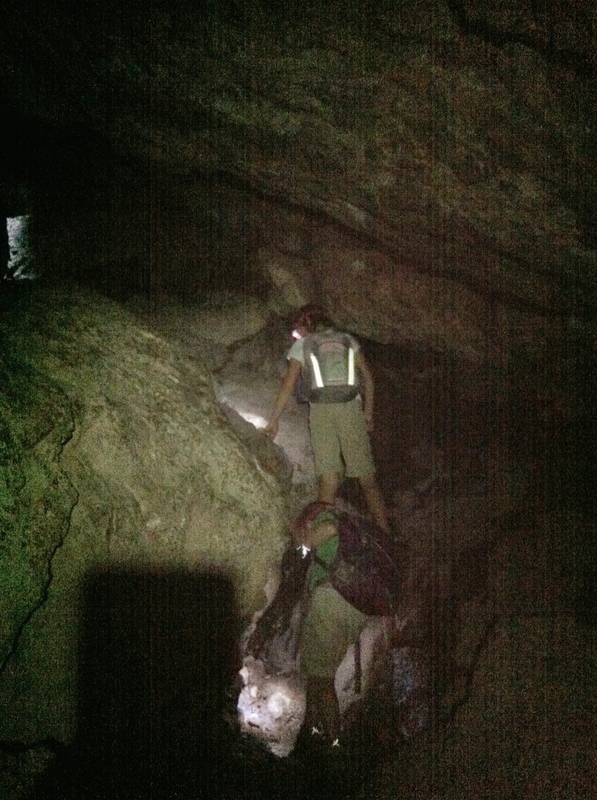 This series of caves is a lot more scrambling up, down, over and under various rocks and paths. Where headlamps are a nice to have in the Bear Gulch caves, they are really useful and almost indispensable in the Balconies caves. There is a bit of water going through these caves too, so wear appropriate footwear or watch where you are stepping. Be sure to check with the ranger before you go on a hike and ask about the Junior Ranger Program and get an activity book so they can earn their Junior Ranger badge and get sworn in - it's super cute! It's a beautiful day on the Coast... Explore the tide-pools!